While Las Vegas is located in the Mojave Desert and annually gets maybe 5 inches of rainfall, it also is located in its own basin, meaning any water falling in the vicinity ultimately winds up in Las Vegas. Complicating the problem is the rocky soil and steep mountains surrounding the area, which means the soil can’t absorb much rainfall. The result is rapid water runoff that quickly becomes a potentially deadly and highly destructive flash flood that can cause a lot of damage. Area officials have done a good job of improving flood control measures, but there still are a lot of homes at risk of suffering flood damages. Homeowners insurance policies do not provide coverage for external flooding. If the water comes in through your door or windows, it won’t be covered unless you have flood insurance protection. Most homeowners insurance plans will pay for damages caused by internal flooding, but additional protection is needed for external flooding. 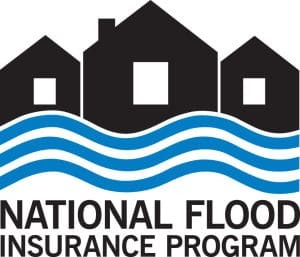 People living in areas that are at-risk of flood damage generally have to buy their coverage through the National Flood Insurance Program, which is administered by the federal government. But the program is deep in debt and has been raising flood insurance rates to as high as $10,000 per year for homes in high-risk areas. To help recoup its steep losses, officials with the National Flood Insurance Program busily have been expanding maps of flood insurance plains and requiring flood insurance protection for all homes located within them. Homes located at or below the 100-year flood plains are charged very high rates for a maximum $250,000 in flood insurance coverage. The rates are reduced for taking steps to mitigate potential damage, like raising homes on stilts or moving them to higher ground. Do you live in an area where flooding has occurred in recent years?